Smart technology has impacted every aspect of our lives, including the way we live in our homes. Smart home automation technology has revolutionized the way you control your lighting, appliances, temperature, and security. But we are still coming to terms with the limitations and capabilities of smart technology. In this article, we’ll do a deep dive into what smart home technology actually is, how to best use it as well as various smart products that are helping people enhance their lives. Smart Home technology is used to automate processes and systems that were previously done manually. These automated systems can work remotely and efficiently. Smart entertainment systems, home appliances, security systems, lighting and temperature control all fall into this category. The main reason why people consider automating their homes is convenience. When it is done right, smart home automation can also save you money and improve system efficiencies. For instance, when you come back home after a long trip, your automated temperature system will have your home at just the right temperature. So you won’t have to fiddle with your thermostat. These devices can significantly improve the quality of your life and give you more time to focus on the things that really matter. Here are a few more ways smart home technology can help homeowners. There’s a lot you can do with automated lighting controls like dimming the lights depending on your outdoor lighting and setting a lighting schedule. Sensors can also be used to set lighting systems on and off for specific reasons. This feature can be really useful in certain instances such as when you wake up in the middle of the night and don’t want to bother with finding the light switch. You can also dim the lights with the press of a single button throughout your house simply using a remote. The Philips Hue bulb is an excellent smart lighting device that can be set to operate as many as 50 bulbs in your home. When it comes to smart home entertainment devices, there are some excellent easy to use options out there. If you’re looking to automate your home, starting with your entertainment devices is the most obvious step. Any electronics that you purchased recently are likely to already be connectivity ready. One useful home entertainment system to have is a central hub that controls all your devices. There are many sleek systems out there that will help you take control of several devices using a smartphone. These can act as the centerpiece of any entertainment setup and tie the whole network together. In addition to controlling your entertainment options, some of these devices can also do more–like interfacing with your thermostat, lights and other home systems. One such option is the Logitech Harmony Home Hub. Not only can it control your entertainment, but also your smart lights and thermostat. Another excellent choice is the Amazon Echo that works through voice control and can be operated completely hands-free. It can do everything from playing your music, reading you the news and controlling all your other smart devices. If you’re looking for simple, centralized control over your entire home, the NEEO Thinking Remote is another great option to consider. Developments in wellness and assistive technologies are helping elderly and differently abled individuals continue to go through their lives as independently as possible. This is a real blessing for people who want to maintain a certain quality of life, safely and in an unassisted manner. There are personal emergency response systems available that can monitor the activity patterns of elderly family members without interfering with their routines. These are programmed to give off alerts if something goes wrong. 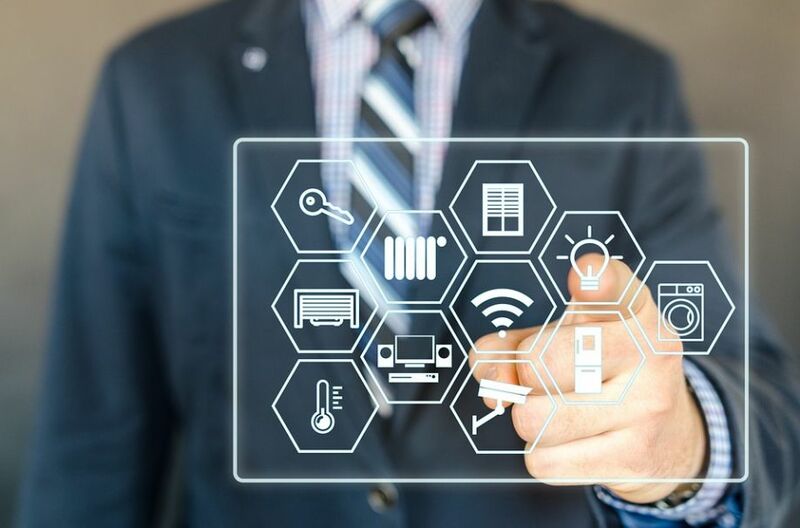 These systems can be connected to other home automation systems to improve connectivity and functionality. With smart home camera solutions, there are a number of safety and convenience possibilities. These can take the security of your home to the next level. The Netatmo Welcome is one such security system that comes equipped with a remote security monitor and facial recognition technology. When people you know walk by, it will send an alert with their details straight to your smartphone. Knowing that your loved ones are safe will give you ultimate peace of mind. This device will allow you to monitor your house when you’re away at work or even in another country on vacation. Another great option is the Arlo Smart Home Camera System. It is a wireless camera system that integrates seamlessly into your home. The camera is weatherproof and employs technologies like night vision and motion detection to give you complete control over who accesses your space. Whether you’re at home or away, it will send you video clips and alerts to keep you feeling safe. Smart technology enabled thermostats can be controlled with a virtual assistant or smartphone when they are connected to the internet via wifi. Check out TTC’s guide on the best wifi routers for tips on setting up your home wifi network. Some systems like the Emerson Sensi Touch Wifi Thermostat can also determine when to shut off the air-conditioning or heat to save power automatically. This is a huge advantage and will save you tons of money. The Emerson Sensi system can also be paired with a virtual assistant so you will be able to control it remotely with voice commands. Another great option is the Nest Learning Thermostat that is easy to install and is compatible with many HVAC systems. It features a big, bright screen with tons of display options like a clock face and weather. As you can see, nearly everything in your home can be controlled remotely thanks to the power of the internet. All you need is a smart speaker or a mobile device. It can seem a bit confusing at first since there are a plethora of different devices out there. Hopefully, our guide has helped you understand the different options so you can get started on setting up your own smart home.